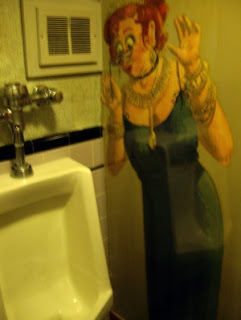 I was highly amused by this lady, peeking curiously by the urinal in the mens room in PJs country house. Humor is a great thing! !